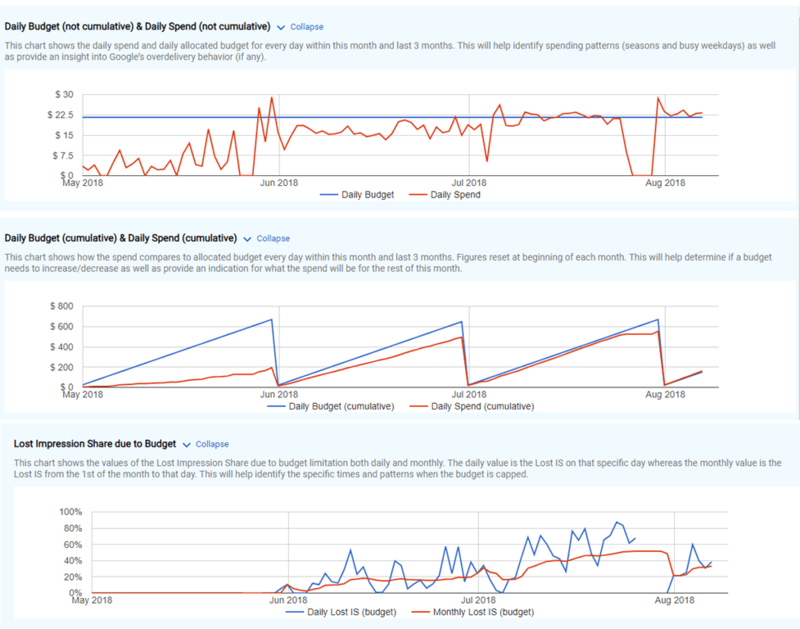 We’ve just released a new feature that allows you to monitor and analyze your budgets. There a a few main features to the new system. You’ll see these alerts on your dashboard in the budget area. As always with Adalysis, you can customize the alerts based upon what you want to see. The budget overview will show you the campaign or shared budget being analyzed, its spend, over and under status, lost impression share, and much more. In addition, you can change your budget, delivery methods, and receive suggestions for budget changes. When you have capped budgets, you are losing impression share due to budget reasons. Increasing your budget can often net you more conversions. 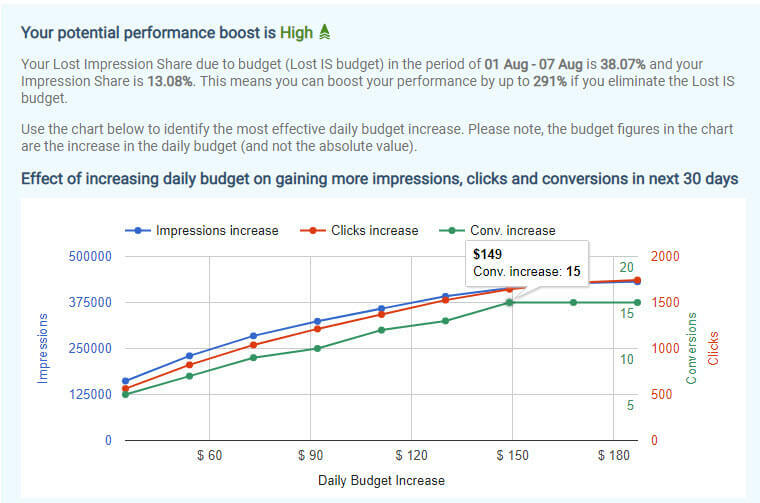 We show an easy-to-read chart that will show you as you increase your budget, how many more impressions, clicks, and conversions you’ll receive as well as the potential performance boost so you can quickly drill down into the largest opportunities. When you want more in-depth analysis of your budget, spend, and lost impression share budget, you can dig into the performance charts. As there’s a lot of new features, we’ve put together a video on how to work with the new tool as well as recommendations for when you have underspending, overspending, and capped budgets.